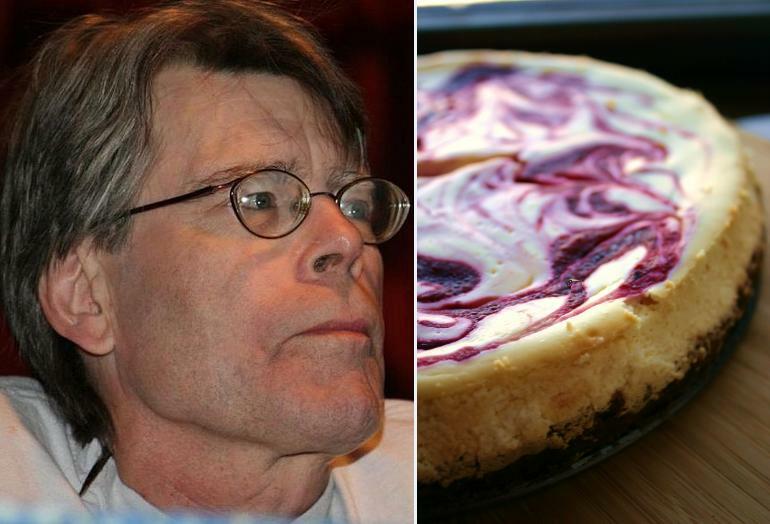 Making a cheesecake for Stephen King is something of a paradox: A dessert that takes several hours to prepare, bake and set doesn’t seem to jibe with his self-proclaimed cooking philosophy: “Keep it simple, stupid.” “I don’t do recipes,” he wrote in Man with a Pan, eschewing measurements and detailed instructions for a loose listing of ingredients and ideas. This result is a happy compromise. It’s full of those pesky “instructions,” but it also satisfies King’s primary cheesecake criterion: “It’s got to have a creamy texture to it,” he says. Baking the cake in a water bath (as well as having all ingredients at room temperature) helps to ensure your cheesecake is King-approved. It’s a natural Valentine’s Day dessert, but it also plays the perfect horror movie marathon snack. A little leftover cranberry sauce, a few knives and some moderate acting skills will set you up for a scene worthy of King’s next book. 1. Preheat oven to 375°F. Butter a 10-inch-diameter springform pan and wrap the outside with 2 layers of heavy-duty foil. In a food processor, add butter and cookie crumbs and pulse until moist clumps form. Press crumb mixture onto bottom and up inside of pan. Bake 5 minutes. Set aside to cool. Turn oven down to 325°F. 2. 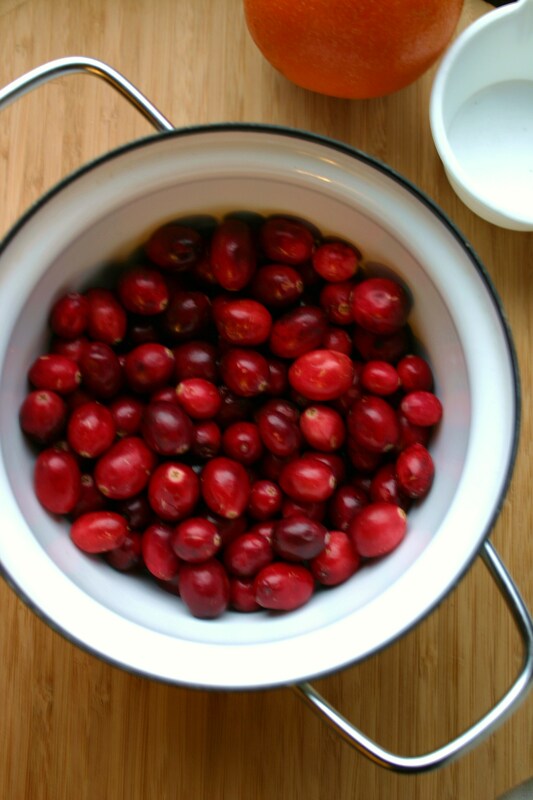 While the crust is baking, combine cranberries, sugar, orange juice and cinnamon in a medium saucepan. Cook over medium heat until mixture thickens, stirring occasionally, about 5 minutes. Cool slightly. Transfer to food processor and pulse until smooth. Strain into medium bowl, cover with plastic and refrigerate while working on the filling. 3. Using an electric mixer, beat cream cheese in a large bowl until fluffy. Beat in sugar, then eggs 1 at a time. Stir in yogurt and orange zest. 4. Transfer a third of the filling to the prepared crust. Add a third of the cranberry purée. Repeat layering of filling and purée twice more, then swirl puree through filling with a knife. Place springform pan in large roasting pan. Pour enough boiling water into roasting pan to come halfway up outside of springform pan. Bake until cheesecake puffs around edges, about 1 hour. Mmm… cheesecake makes me melt. I can’t resist its charms. This looks absolutely wonderful! And you’re right, it would be lovely for Valentine’s Day! Thanks – and I’m so impressed by your King Cake! I’ll have to give that a go next year. I haven’t ever finished a Stephen King book ever. He is such a craftsman of words, he scares the s*** out of me. He is a legend of our times in his genre and there is no status that we can attribute to King. Ha – I guess it’s the one genre where not finishing is actually a testament to how good he is at his job! 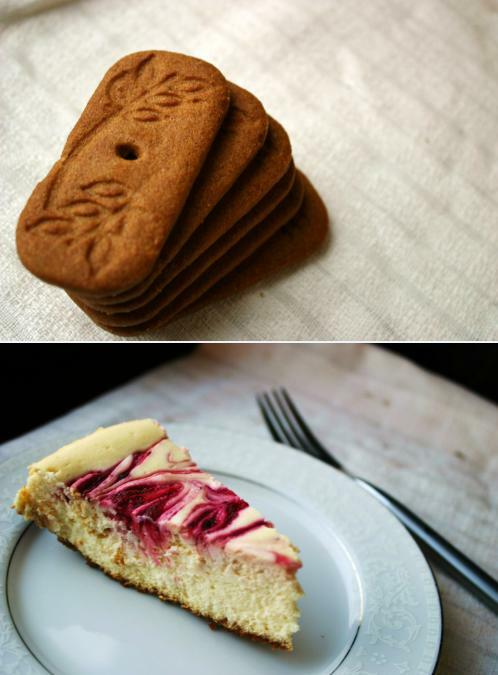 I love the cranberry/orange combo too – making scones or quick breads with both is something I do a lot too! Cool to note (re: elitism) in food and literature. I’ve seen/heard it regularly. But when it comes to cheesecake there’s no denying it’s a good & filling item especially if you like your desserts dense & creamy. New York style cheesecake FTW! We use the recipe from the Cabot Cheese website.